Some friends gave us baby room decor as part of a baby gift way back in July. I finally have the project finished and up in her room. It was a fun and really simple project. 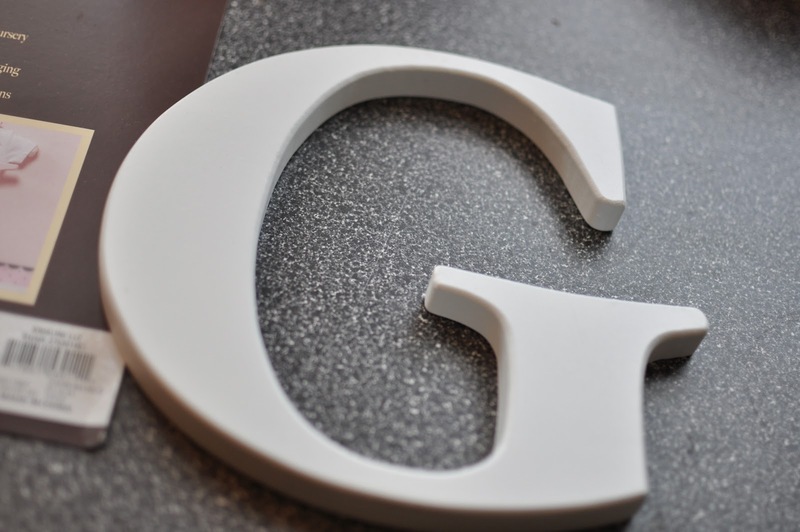 I started with the blank G. What to do? I decided to go with magenta. A couple of coats later, it was much darker than I anticipated. 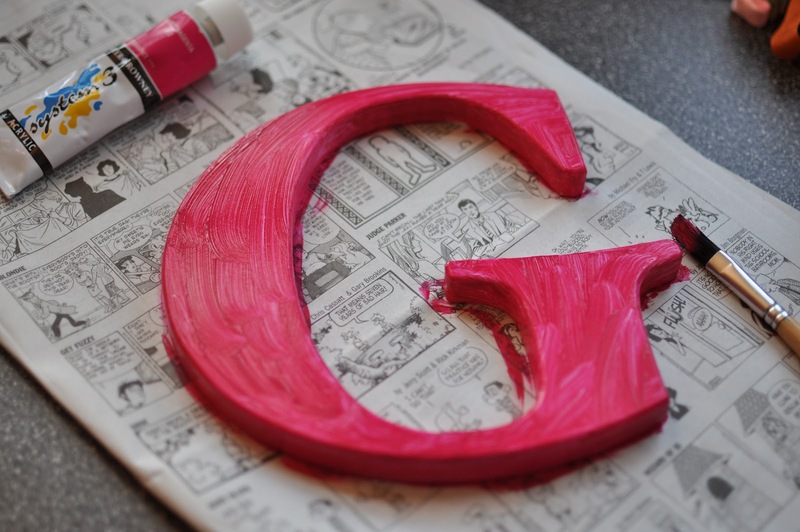 So I added some white on the face of the G for a lighter tint of magenta. It looked nice with the contrast. I let the paint dry. 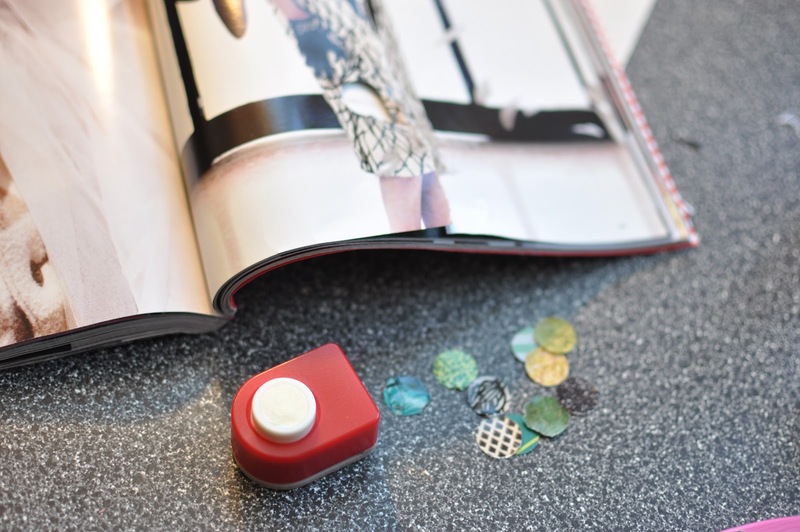 Next, I used my hole punch to cut out an assortment of green and black & white dots. I was going for a complementary color scheme. 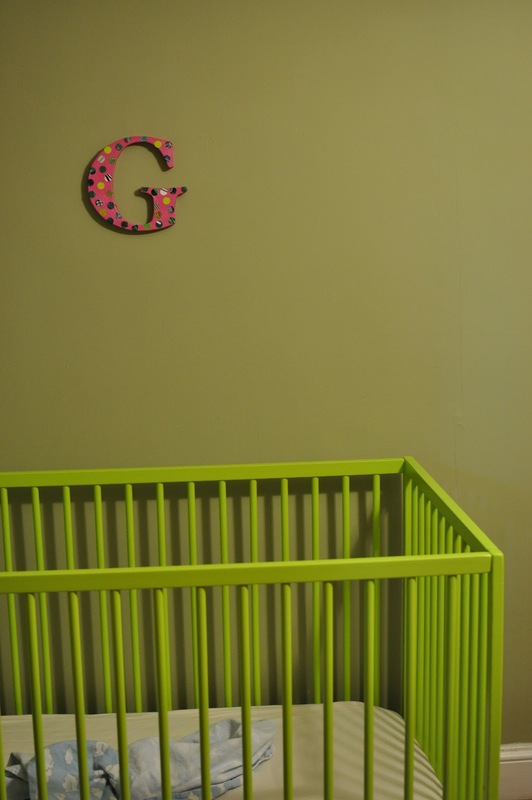 If use pink at all, I like to tone it down with some green so it is not too girly. The black & white dots were just to punch up the design. 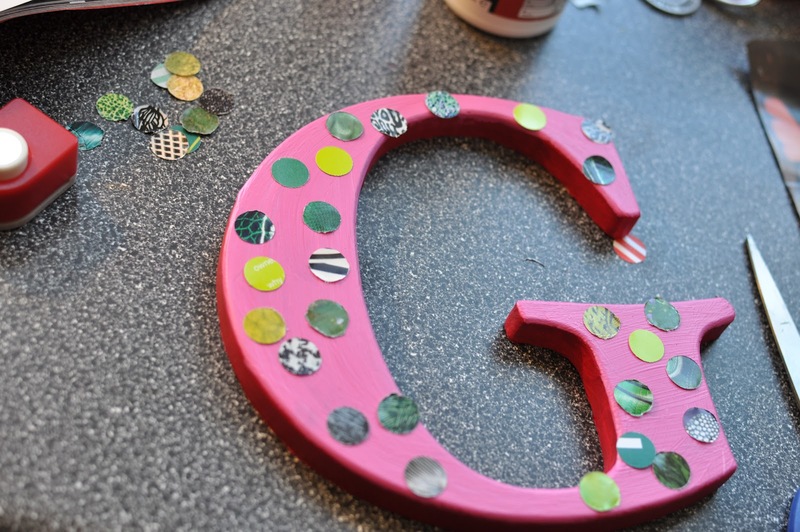 I tried placing them in various ways on the G. Once I had them where I wanted them, it was time to glue. 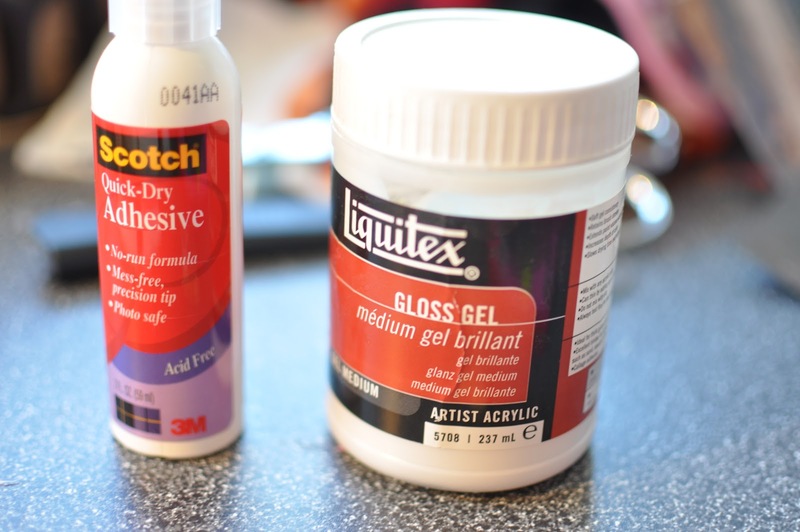 Scotch adhesive has a nice tip for gluing small items and the gloss gel is perfect for decoupaging surfaces. 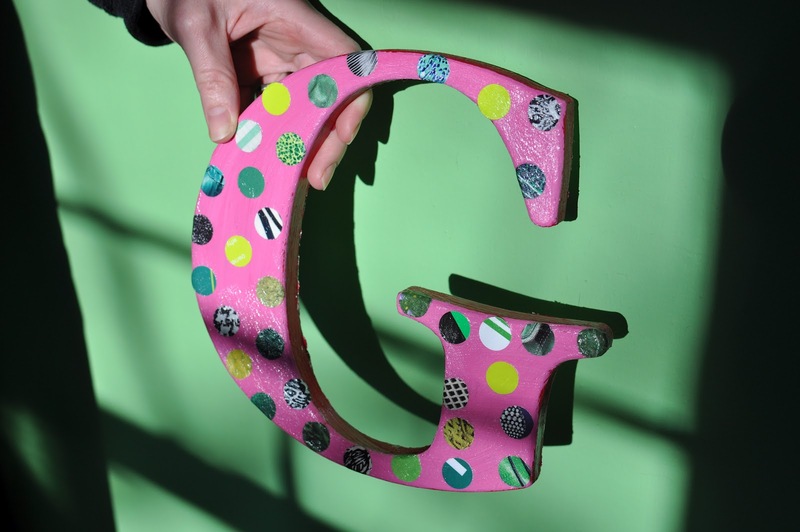 I glued the dots onto the G.
Then I sealed the surface with the gloss gel. You can also use Modge Podge. Be sure to clean your brush with soap and water if you want to use the brush again. 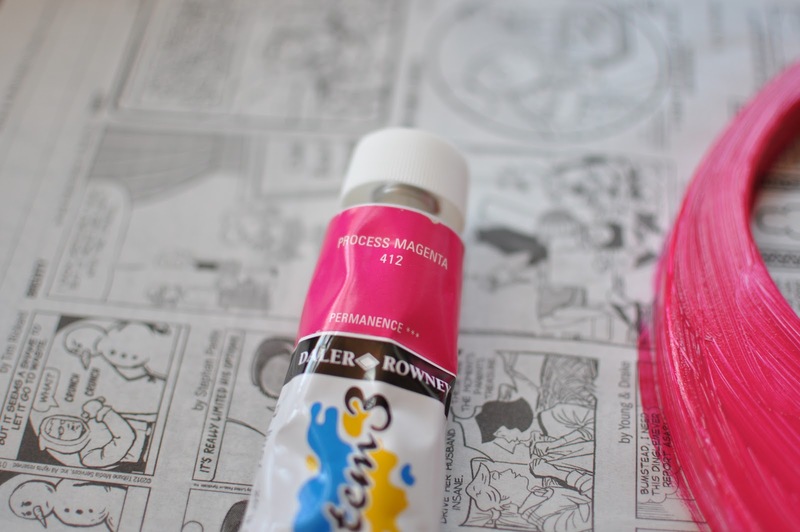 The gloss gel will go on whitish but dry clear. 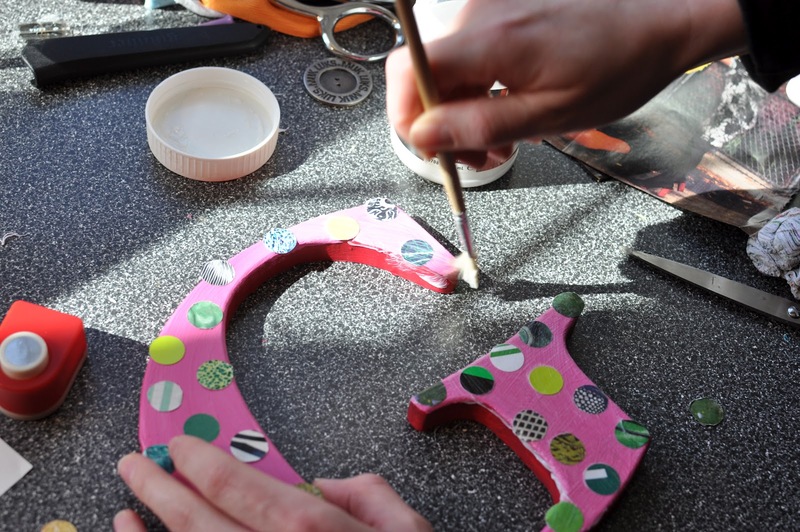 Let it dry for a few hours before you hang it up.